A few days ago I started gathering resources to supplement a math unit on fractions. The classroom was studying equivalent fractions and I thought there might be a variety of resources available on a few of the blogs that I regularly visit. I generally follow the #mathchat hashtag and find/share ideas that relate to mathematics. 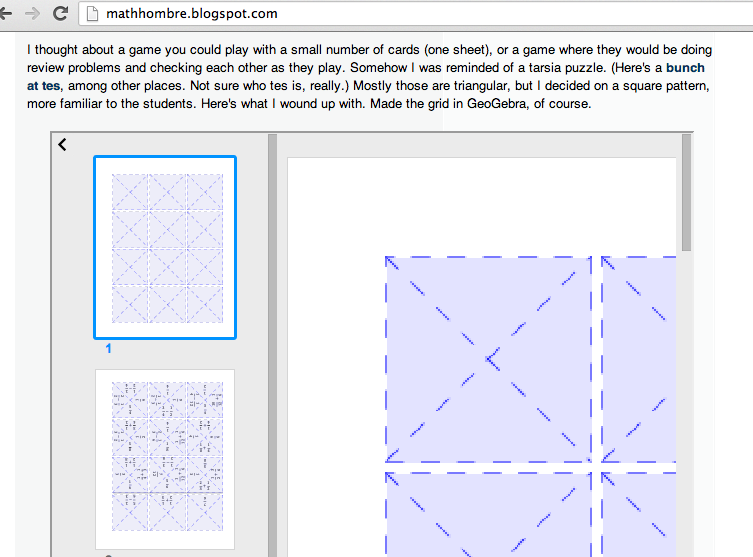 While reading a few math blogs on fractions, I came across John Golden’s site that has some amazing ideas that can be used in math classroom. His triangle pattern template sparked my interest. John provided a template that’s available on his site. I printed out the template and began filling out each triangle with fractions. I ended up with a sheet that looked like this. 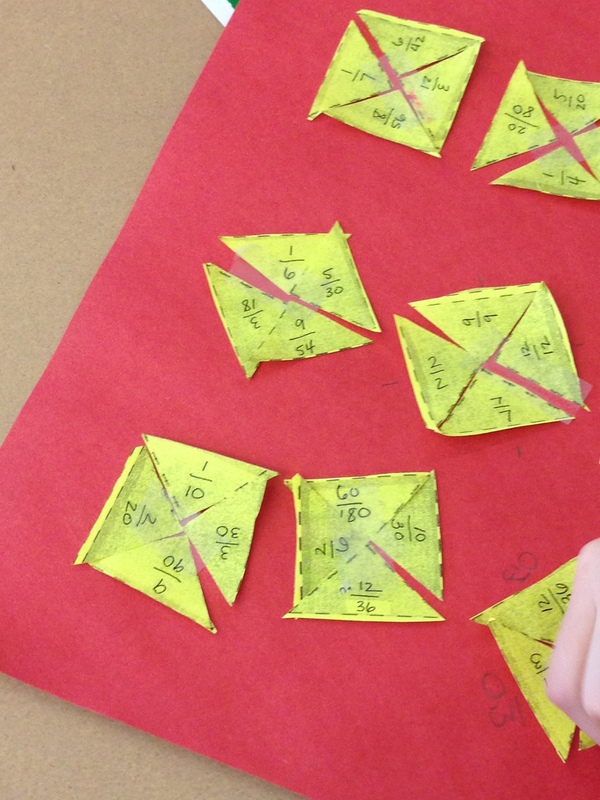 Students in fourth grade cut out each triangle and combined them to make equivalent fraction squares. Students worked in collaborative pairs during the project. I observed students using math vocabulary and having constructive conversations with each other to finish the assignment. Before giving the assignment to a fifth grade class I decided to eliminate two triangles on the sheet above. It was the job of the student to find what triangles were missing and create equivalent fractions to complete the squares. The students were engaged in this activity from start to finish. Some students even wrote the equivalent decimal next to each square. Overall this project took approximately 45 minutes to complete and it was worth every minute. Students used the terms fraction, improper fraction, mixed number, numerator, denominator, multiplication, division, and pattern throughout the project. Just as I did, feel free to tweak this project to best meet the needs of your students. ‹ PreviousHow Do You Measure School Achievement?